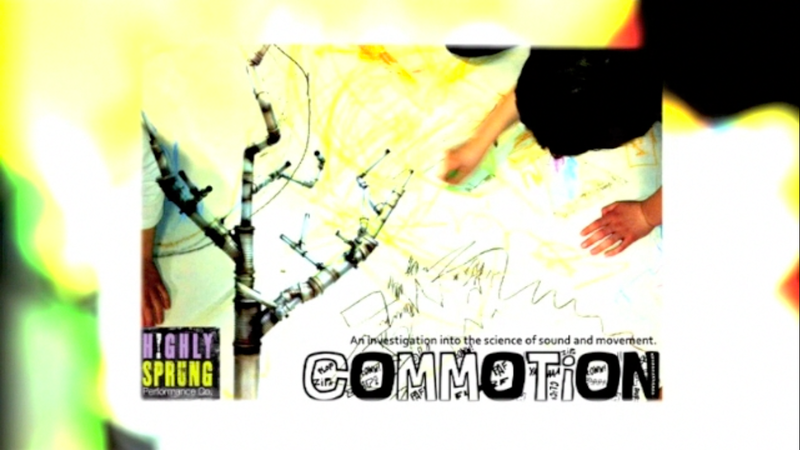 Commotion is a brand new project for Primary schools exploring the science of sound and movement, touring in Spring, Summer and Autumn 2012. The project was developed in collaboration with Ally Caldecote from the University of Warwick and is being underpinned by research into kinaesthetic approaches to learning by Jo Trowsdale, associate professor in the Department of Education at the University of Warwick. The Highly Sprung performance company's personal website provides a complete FAQ, further information regarding what educational events and sessions that they have to offer, booking details and teacher testimonials.